WHY DOESN’T THE FDA APPROVE DMSO? The first time I tried DMSO (Dimethyl Sulfoxide) was 40 years ago when it was being touted as miracle drug and used by coaches on injured athletes who were sent right back into play. I knew it wasn’t approved by the Food and Drug administration, and only used as a solvent or a rub-in liniment for animals, but I used it anyway. I’ve suffered from scoliosis (curvature of the spine) since I was a kid and it helped the chronic pain in my back, neck and hands. As I got older DMSO reduced the swelling around my joints and allowed me greater freedom of movement. I recommended it to my grandmother who was suffering from arthritis and she got immediate relief. A foreman on the ranch of a friend of mine swears he was cured of arthritis by the “Miracle Mixture. I gave some to my aunt, when she broke her arm and her doctor smiled and admitted that she healed twice as fast when she rubbed it on herself. With so many positive results that I’ve experienced personally with DMSO and who knows how many hundreds of thousands of other people that have been helped, why hasn’t the FDA approved the use DMSO it in humans? In 1996 my scoliosis had gotten worse and I had to have a spinal operation to keep my spine from fusing together. That’s when I became addicted to 3500 units a day of Vicodin and inhaled steroids for many years. When the doctors wanted to teach me to inject morphine to stop the unimaginable pain, I put an abrupt stop to my deadly roller coaster ride. I didn’t know that quitting cold turkey would make me temporarily lose my memory, but after a while I regained it, and started using deep meditation to go below my pain level, but forgot about DMSO. 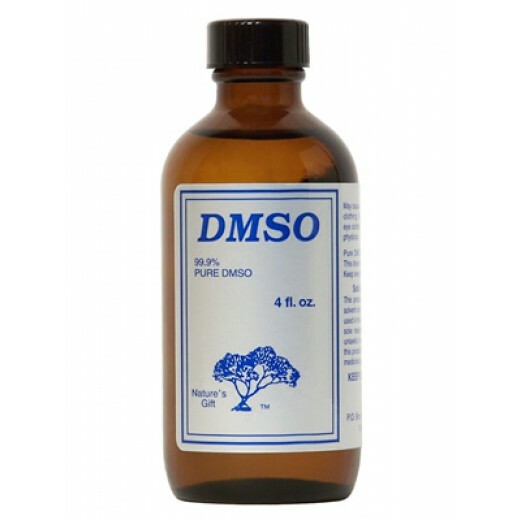 Recently, when I was told I’d never walk again and lost the use of my hands I thought about trying DMSO. Ten days ago I started using it …and now I’m opening and closing my hands! I don’t know how far my own experiments will take me, but why hasn’t the FDA approved the use of it in humans to find out? My guess is it’s because the drug manufacturers can’t control it, it costs very little to make and bottle of 99.9% pure DMSO costs the consumer as little as $10!